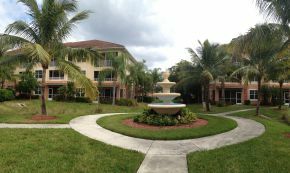 Van Loon Commons offers some of the most affordable luxury condos in a gated community that Cape Coral can boast of. There are 10 three-story buildings with fifteen condos in each building ranging in price from a low of about $140,000 up to around $160,000 (as of March 2019). Amenities include a beautiful pool and clubhouse, fitness facilities, in-front covered parking stalls, and a spa and game room. 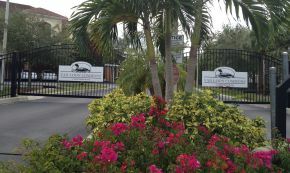 The project is totally fenced in and gated for security and close to Fort Myers and all the beaches and entertainment. The community has tropical landscaping throughout with walking paths and lots of greenery. Built in 2006, the condos have all the upgrades, some even more renovated and improved than others. Look for tiled or wood parquet flooring, 12.5ft ceilings, glass shower stalls, jacuzzi baths, and other luxuries. Units have screened in porches or balconies that overlook the courtyard or pool. Van Loon is a great place to live and fits almost any budget. It's great for retirees and young couples, and offers a safe and secure as well as elegant place to call home. Contact me for a tour or more information.